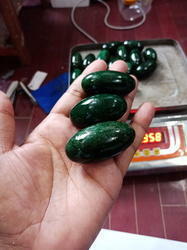 Our experience designers are engaged in offering a wide array of Green Malachite Bead. 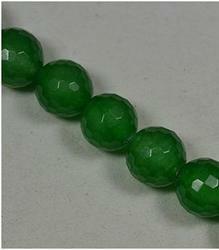 In different cuts and patterns, we are providing this Green Malachite Bead. This Green Malachite Bead is known for its unmatchable quality and eye catching look. Den Hende Merchants Pvt. Ltd.
With sincerity and hard work of our professionals, we have carved a niche for ourselves in this domain by providing a premium quality gamut ofFaceted Glass Beads. These glamorous looking beads will be a perfect addition to any kind of personalized jewelry. Available in variety of sizes, these bright color beads are prized with a glow and charismatic sparkle that reflects with light.